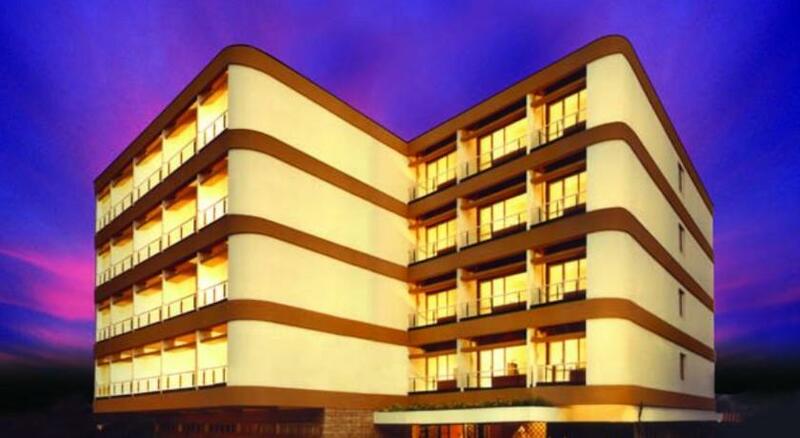 Hotel Indraprastha is a well known deluxe hotel in Palakkad, Kerala that offers a luxurious stay to both vacationers as well as corporate guests. The hotel is just 5 km from the nearest railway station at Olavakkode and the bus stand is merely 1.5 km away. The nearest airport is Coimbatore which is about 55 km from the hotel. 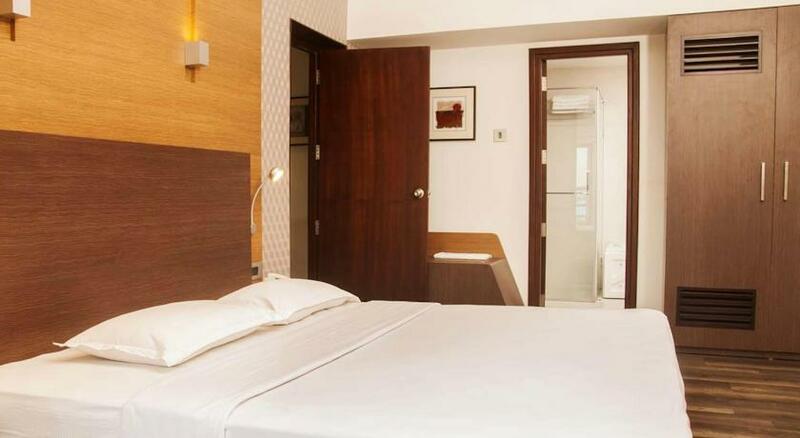 Located at a 2 - minute distance from the Fort Maidan (0.5 km), Hotel Indraprastha offers a convenient location that is easily accessible and connected. 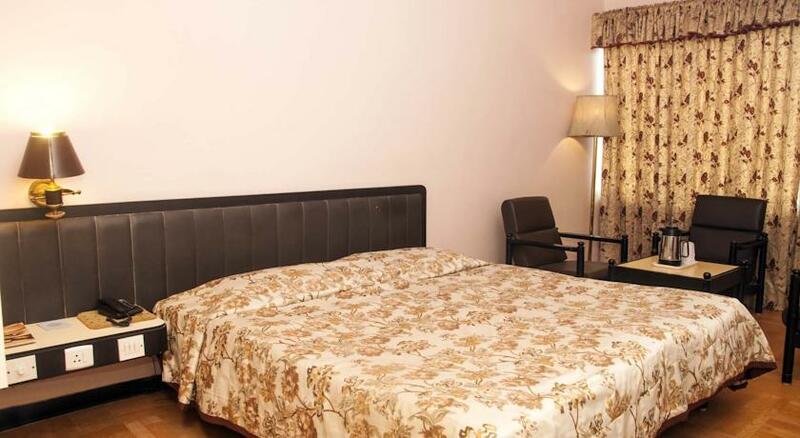 The hotel offers various contemporary facilities and services like foreign exchange, doctor on call, travel assistance, laundry services, parking and 24 hour front desk. The hotel consists of five venues – The Auditorium, The Pandal (Thatched Roof), The Conference Room, The Mini - Conference Room and The Boardroom – that are ideal for corporate events like conferences, business meetings, seminars as well as marriages, banquets, parties and social events. While staying here, enjoy the tourist attractions such as Jain Temples, Palakkad Fort, Nelliampathy, Malampuzha Gardens, Kallekkulangara Temple and Kalpathy Temple & Village. 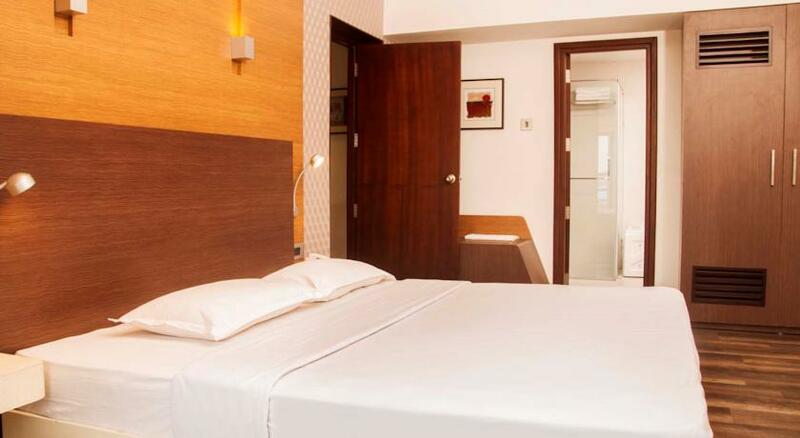 Newly renovated, the rooms are designed to ensure utmost comfort and convenience to the guests. The facilities offered include in room safe, satellite television, work desk, telephone, Wi-Fi connectivity and 24 hour room service. The private baths are well equipped with shower and bath amenities. 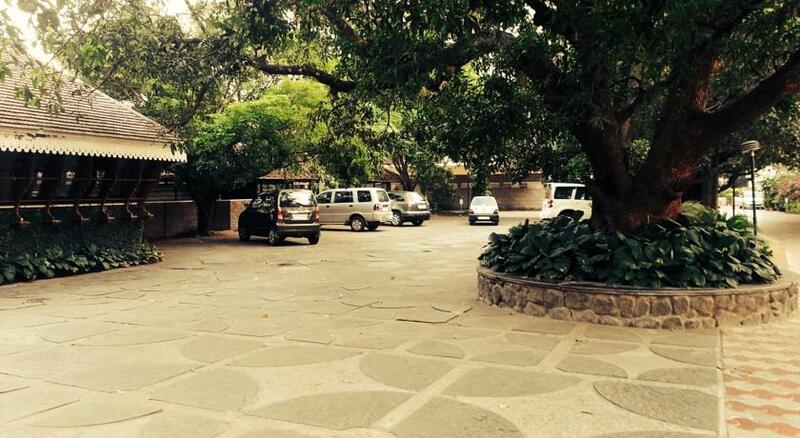 The rooms are tastefully designed and furnished with all the necessary comforts and technology. The amenities include cable television, telephone, safety deposit locker, spacious work desk, Wi-Fi accessibility and attached bathrooms with shower and bath toiletries. Round the clock room service is provided. These rooms are furnished with twin beds and incorporate amenities such as Wi-Fi connectivity, telephone facility, cable television, well appointed work desk, in room safety deposit locker and en suite baths with necessary toiletries and shower facility. 24 hour room service is also offered in each room. The executive rooms are exquisitely designed and decorated with modern furnishings. All the rooms are well appointed with state-of-the-art facilities that include satellite television, spacious work table, Wi-Fi internet access, telephone, in room electronic safe and round the clock room service. The private baths are efficiently appointed with shower and bath accessories. 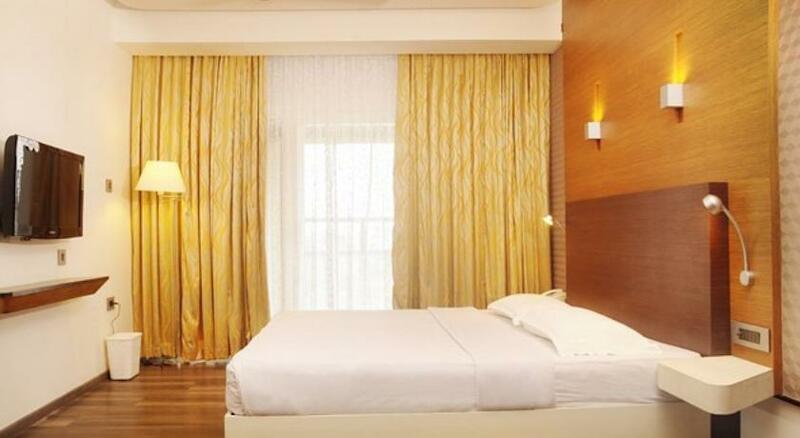 Tastefully decorated and furnished, the premium rooms offer a lavish stay. These rooms offer all the modern necessities comprising Wi-Fi internet accessibility, satellite television, telephone, well appointed work desk, in room digital safe and private baths equipped with bath essentials and shower amenities. Round the clock room service is facilitated. These rooms also feature private balcony that offer a magnificent view of the surroundings greenery. 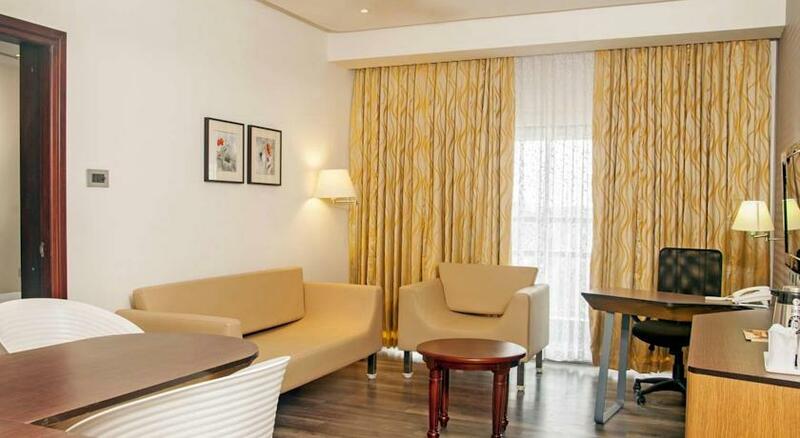 The executive suites are luxurious, elegant and comfortable. The wooden floor work gives these suites a stylish appearance. The contemporary facilities that are offered in these suites are television with satellite channels, telephone, spacious work table, digital safety deposit box, Wi-Fi connectivity and round the clock room service. 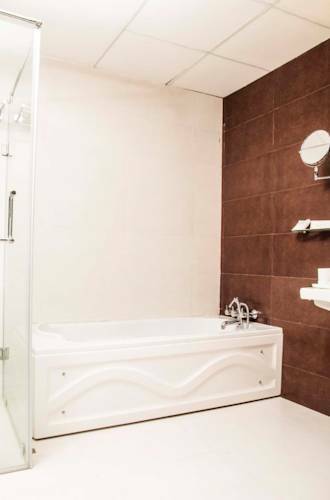 The en suite baths are spacious and well appointed with bath amenities and shower facilities. The premium suites boast of a private balcony that is perfect for evening tea or watching the soothing views of the luscious greenery of the hotel gardens. Guests can enjoy various amenities while staying in these suites such as Wi-Fi accessibility, cable television, well equipped work desk, in room electronic safe and telephone. The personal baths include shower and complimentary bath accessories. Round the clock room service is provided. One of the finest restaurants in the city, the in house restaurant in Hotel Indraprastha serves a wide array of cuisines to the diners. 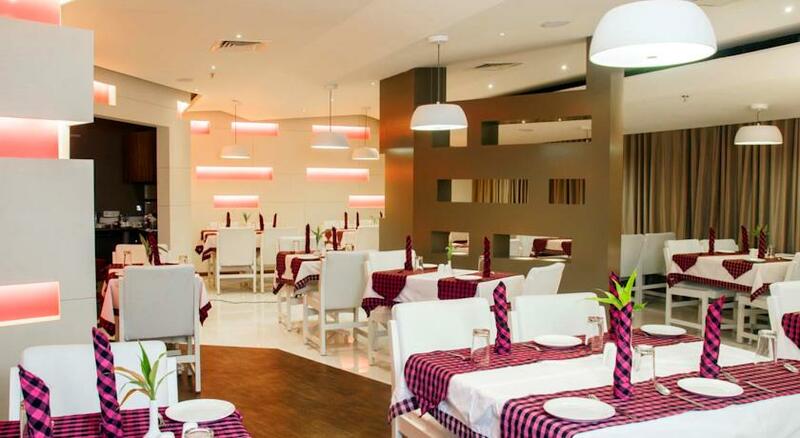 Relish the lip smacking varieties from Indian, Tandoori, and Chinese to Continental delights. 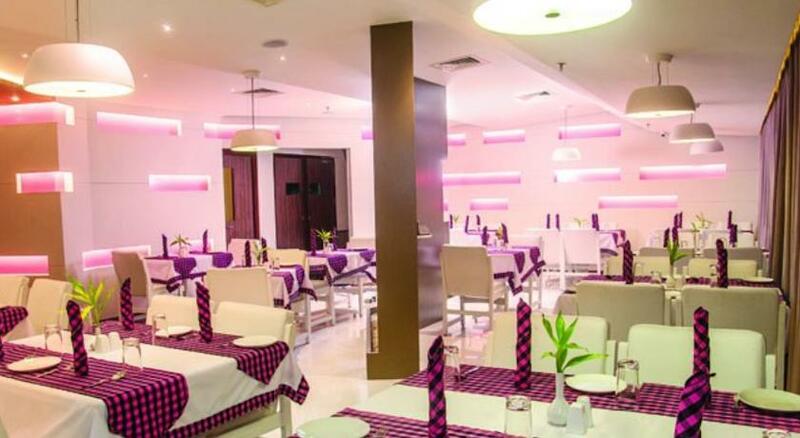 The ambiance is cozy and comfortable offering a pleasant dining experience. This is the pure vegetarian option in the hotel with a separate kitchen for vegetarian preparations. The food is mouth watering and the coffee shop has a beautiful Kerala styled architecture that gives off a pleasant ambience. Don’t forget to try the scrumptious Ramassery Idli that is a local favorite. Relax and enjoy your evenings at the in house bar with its warm and inviting ambience. Savor the delicious concoctions of alcoholic as well as non alcoholic drinks prepared for your tastes. The bar also features numerous beers, wines and spirits to choose from.